Gurgaon being center of buzz activities of business, has seen rapid growth in last decade. 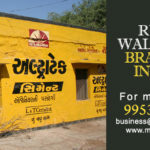 With growing business, need also grow for advertisement of product / services of corporate companies. Gurgaon recently named Gurugram is the fastest growing city in the National Capital Region. The city is both financial and industrial hub of India. The city is packed with popular shopping malls such as Ambience, water and ride parks like Appu Ghar, corporate park like Cyber City and much more. People in the Delhi/NCR region visit Gurgaon mostly for business and leisure. 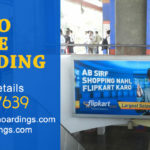 How Gurgaon is perfect platform for advertising? High footfall: The city has high footfall of people visiting the city from around Delhi/NCR region especially at weekends. 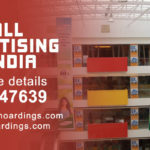 Target audience with different needs: The audience at Gurgaon city is a mix of people from all sections of society like middle class, upper middle class and high class, therefore the city can serve as an n advertising platform for variety of products and services. Empowered consumer: The audience here is either a decision maker or have high purchasing capacity. Brands that wish to target educated, informed and brand conscious audience can make full use of the city’s demographics. 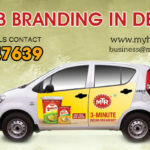 Why choose car branding in Gurgaon over other outdoor advertising medium? 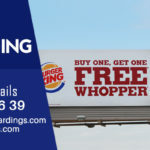 Cost-effective: Booking lucrative sites for displaying ads on banners, hoardings or posters might be costlier in comparison to booking cars for branding purposes. Extended exposure: The moment the traveller sit in the car, the brand starts to communicate with the audience in a passive manner. 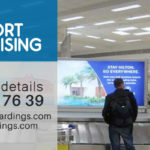 Travel time and dwell time owing to traffic jams and stops at traffic lights all add up to high brand exposure and effective communication. Passive and active audience: Either the consumer travels via car or is an onlooker, in both ways he will be drawn to the colourful ads displayed on the car. So, whether the consumer is using a cab service or not, the message communicates to both active and passive target audience. 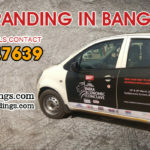 Car branding is apt for advertising campaigns that are tight on budget but aim at mass reach. 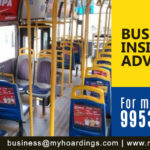 MyHoardings is one of leading companies to provide 360 degree ad services to clients including “Ola and UBER Taxi Branding”. 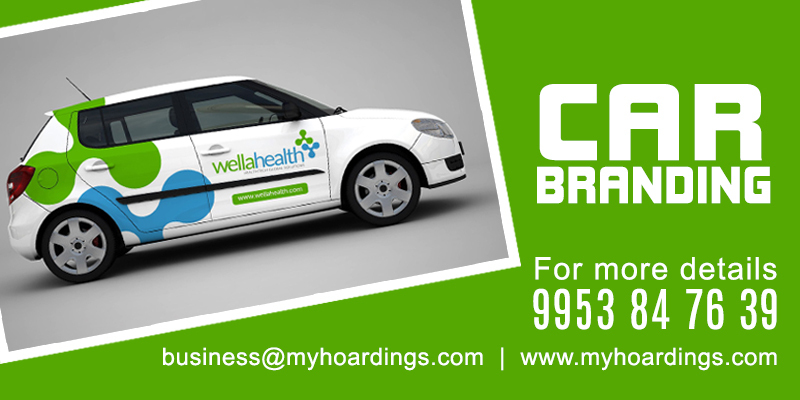 Contact +91 9953847639 for best rates of “Cab branding” in Gurugram , Delhi and Noida.